Let us now speak of the Sackler brothers – Arthur, Mortimer, and Raymond – patriarchs of the pharmaceutical-fueled family that has made billions of dollars from the sale of OxyContin, the marketing of which has undeniably triggered America’s current opioid crisis. First, the family’s public face, detailed in this recent Esquire piece by Christopher Glazek. The newly installed Sackler Courtyard at London’s Victoria and Albert Museum is one of the most glittering places in the developed world . . . 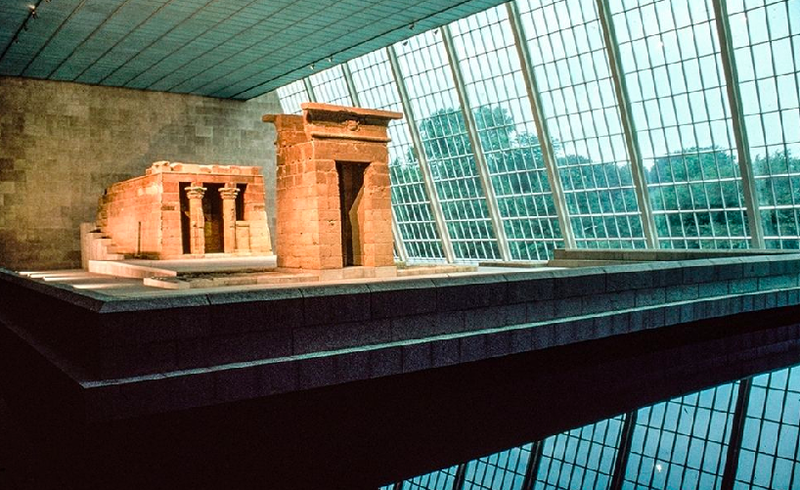 So, to recap, two generations of Sacklers have slapped their name on anything that doesn’t move, and at least one thing that does. But the place you will never find their name? Anywhere that OxyContin appears, as Esquire’s Glazek points out. Ideally, the goal with a painkiller as powerful as OxyContin should have been to “sell the least dose of the drug to the smallest number of patients.” Purdue Pharma was hellbent to do the opposite. The company promoted OxyContin as “virtually non-addicting” and paid doctors to produce studies and deliver testimonials. The result? The U.S. accounts for about one-third of the global opioid market, with an estimated two and a half million Americans having an opioid-use disorder. And the cost in human life? In 2007 Purdue pleaded guilty to felony charges for “criminally ‘misbranding’ OxyContin,” Glazek writes. 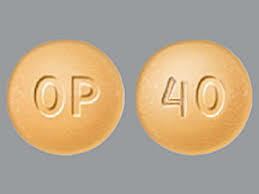 “As the company later admitted, it misleadingly promoted OxyContin as less addictive than older opioids on the market.” Purdue paid $600 million in fines – lunch money compared to the $35 billion in revenues OxyContin has generated for the company. With both the Esquire and New Yorker pieces landing with a big bang (and with multiple cities and counties suing opioid makers), it’s likely no coincidence that Purdue has been running this full-page ad in the New York Times and Wall Street Journal for the past few weeks. The headline, of course, is laughable, but the last paragraph is an even bigger joke. No one solution will end the crisis, but multiple, overlapping efforts will. 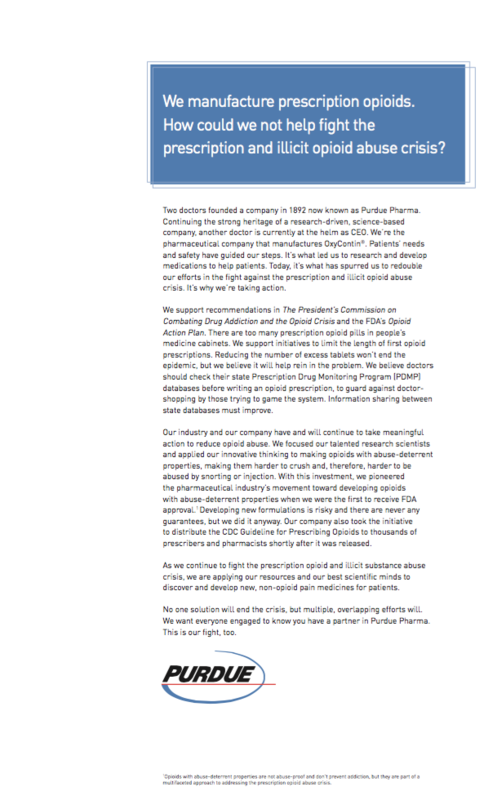 We want everyone engaged to know you have a partner in Purdue Pharma. This is our fight, too. And no Potemkin marketing campaign is going to change that. I thought I had seen the worst, when my former landlord, who had been the subject of numerous exposes, got an institute of investigative journalism named for him. But the Sacklers have him beat. Yeah, the Sacklers set a new low, Robert. Thanks, Robert – that should open up the family-sized can of worms.